Being accused of Possessing, Selling, or Trafficking in a Controlled Substance can significantly impact one’s life. First, a conviction for any drug charge results in a mandatory two-year driver’s license suspension. Even more dramatic are the mandatory minimum prison sentences for Trafficking. For example, a conviction for possessing only four grams of hydrocodone or oxycodone (approximately 40 pills) mandates a $50,000 fine and three years in prison, at a minimum! Because being accused of a Controlled Substance violation is serious, it is important that you have the best counsel you can afford to protect you. 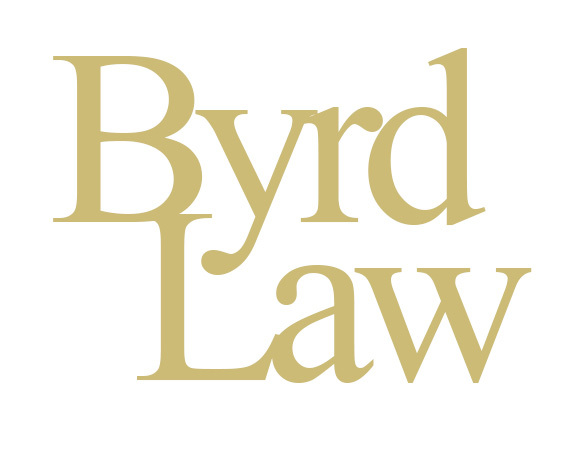 The Byrd Law Firm has been defending drug cases for over 40 years. We take pride in our knowledge of search and seizure law. We will diligently research every detail of your case to make sure your rights were not violated. There are many options available to you that we will explore. A. Were your rights violated when Law Enforcement searched you? Often, overzealous Law Enforcement Officers search individuals without their consent, a warrant, or probable cause. When this happens, we will file the appropriate Motion to Suppress or Dismiss to eliminate the evidence against you. B. Were you illegally seized? Often, overzealous Law Enforcement Officers will stop you or your vehicle without probable cause or reasonable suspicion that you have done anything wrong. If you are illegally stopped, we will file Motions to have the evidence thrown out of Court. C. Did Law Enforcement violate you rights when they took a statement from you? If you gave a statement to Law Enforcement, there are several legal hurdles that the prosecutor must overcome in order for your statement to be admissible. For example, if you were in custody (e.g., arrested) and your statement was taken without you receiving proper Miranda warnings, your statement cannot be used against you. Also, if the statement you gave was not freely and voluntarily given, it is inadmissible. For example, if Law Enforcement tricked you or promised you something to give your statement, then your statement would be inadmissible. D. Did you really “possess” the drugs? In most drug charge accusations, the accused is not in “actual” possession of the drugs. More often, Law Enforcement claims that the accused is in “constructive possession”. There are a lot of defenses available to you if you were not in “actual” possession of the drugs. We will carefully evaluate the facts to determine if these defenses are available to you. E. Are there options available to me that allow me to avoid conviction? Yes, many. Drug Court: You may qualify for an intensive outpatient drug treatment program. We have been successful in having many of our clients charges dismissed based on their successful completion of Drug Court. Securing a negotiated plea offer from the prosecutor that allows for a withhold of adjudication, which means that you are not formally convicted of the charge. As you can see, defending drug cases can be complicated. It is critical that you obtain the best counsel you can to help navigate you through the system and try to avoid a formal conviction. With over 60 years of combined experience representing individuals charged with drugs offenses, we can help. Drug Trafficking Laws In Florida. You may think this only for drug dealers but think again. Attorney Derek Byrd of the Byrd Law Firm gives some startling insight that may surprise you. All information contained herein is provided for the purpose of providing basic information only and should not be construed as formal legal advice. The Sarasota Attorneys disclaim any and all liability resulting from reliance upon such information. You are strongly encouraged to seek professional legal advice before relying upon any of the information contained herein. Legal advice should be sought directly from a properly retained lawyer or attorney.